NACCS 45 returns to the Midwest where Mexican and Mexican-Americans have established roots for over 100 years. Historically, the Chicana/o/x history has focused on the American Southwest. Although we have traditionally traced and examined through the colonial territory of New Spain and the Mexican State as a starting point, 19th and early 20th century Mexicans and Mexican-American followed the railroads which brought to the far north of the American Mid-west. Like other Mexican and Mexican-American families that trekked north from the southwest to Minnesota, and specifically to the St. Paul area, working families found work. Although majority of Mexican and Mexican-American migrants arrived in the region to meet labor demands and eventually followed circulated back, many migrants and immigrants choose to stay in Minnesota and planted roots (Valdés, 2005). 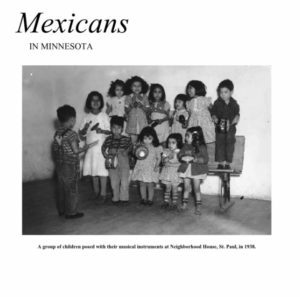 So, as we venture out to explore the city, let us be reminded that the Minneapolis-St. Paul area has deep historical roots outside of the Chicana/o/x traditional borderlands.